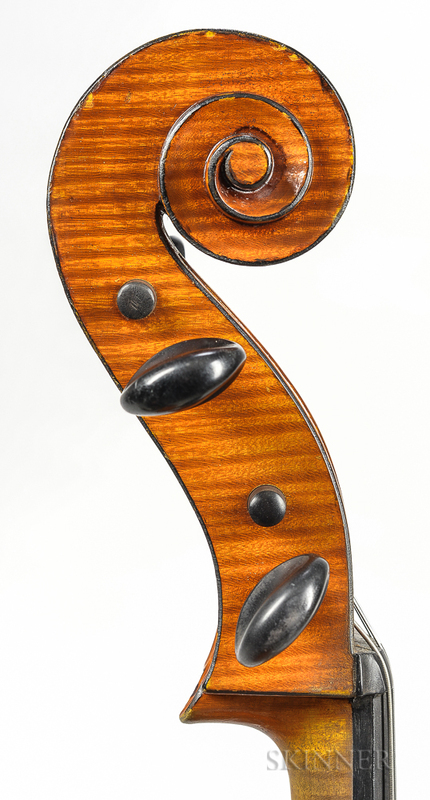 Violoncello, labeled Umberto Lanaro/fece in Padova/anno 1966, the label inscribed Umberto Lanaro, branded internally LU, inscribed internally Umberto Lanaro, length of back 756 mm. In good condition. Minor repaired crack (1.5 in.) to top at bass shoulder.